The longtime chief executive of Dow Chemical, who led the company through the financial crisis, a merger with rival DuPont and then the planned disassembly of the entire enterprise, is stepping down. 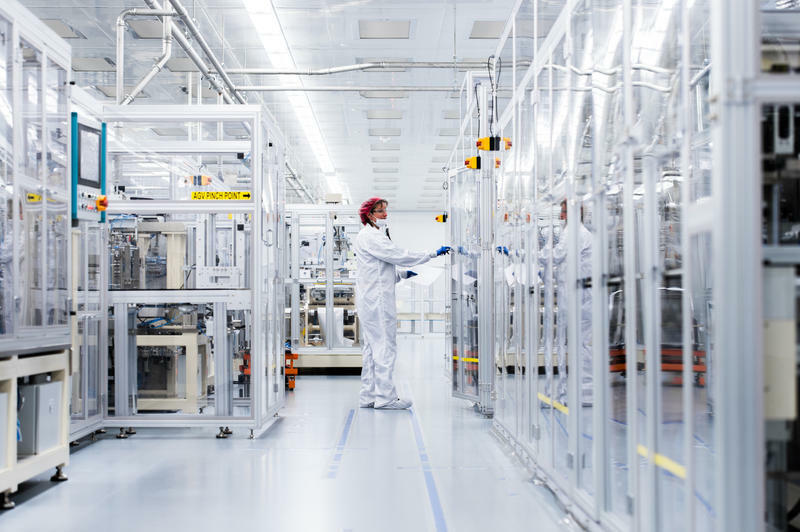 A Michigan lithium battery maker is rolling out its next generation battery. 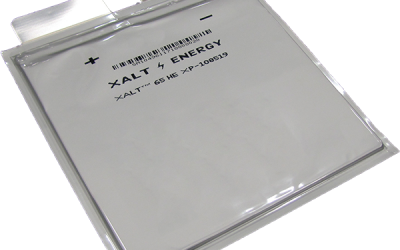 XALT Energy has suffered setbacks in recent years, including lost business opportunities in China when it changed regulations, and losing out on a major bus contract in California, resulting in layoffs at its facilities in Midland and Pontiac. Lisa Stevenson is the director of cell development at XALT. She says their next battery stores more energy and is a good fit for the electric bus market. “Absolutely, it’s going to make us more competitive,” says Stevenson. Dow Chemical’s merger with rival DuPont becomes to official today. Dow Chemical has been listed on the New York Stock Exchange since 1937. But with the start of business Friday, its stock ticker symbol will be replaced with the new one: DWDP. Those four letters will symbolize what is now the largest chemical company in the world, worth an estimated $130 billion. It took nearly two years for Dow and DuPont to get the regulatory approvals to merge. DuPont and The Dow Chemical Company say they have cleared all regulatory hurdles and will complete their planned merger at the end of the month. The two companies issued a statement Friday saying the merger will become official after the markets close Aug. 31, and that shares of the new DowDuPont company will trade on the New York Stock Exchange beginning Sept. 1 under the ticker symbol DWDP. Dow Chemical is celebrating new investment in mid-Michigan today. The chemical industry giant opened its new global headquarters in Midland and broke ground for a new $100 million research and development center. The investment comes as Dow prepares to merge with rival DuPont next month. Dow CEO Andrew Liveris calls Midland his company’s “heart”. On Monday, Dow Chemical will officially dedicate a new global headquarters building in Midland. According to the company’s press release, Dow CEO Andrew Liveris will renew Dow’s commitment to Michigan and the Great Lakes Bay Region as the company celebrates the grand opening of the Global Dow Center in Midland. The Dow-DuPont merger is moving to a conclusion. Last week, the proposed $130 billion merger cleared its last major regulatory hurdle. Canadian regulators joined their counterparts in the U.S., China, Brazil, Australia, India and the European Union in giving their blessing. 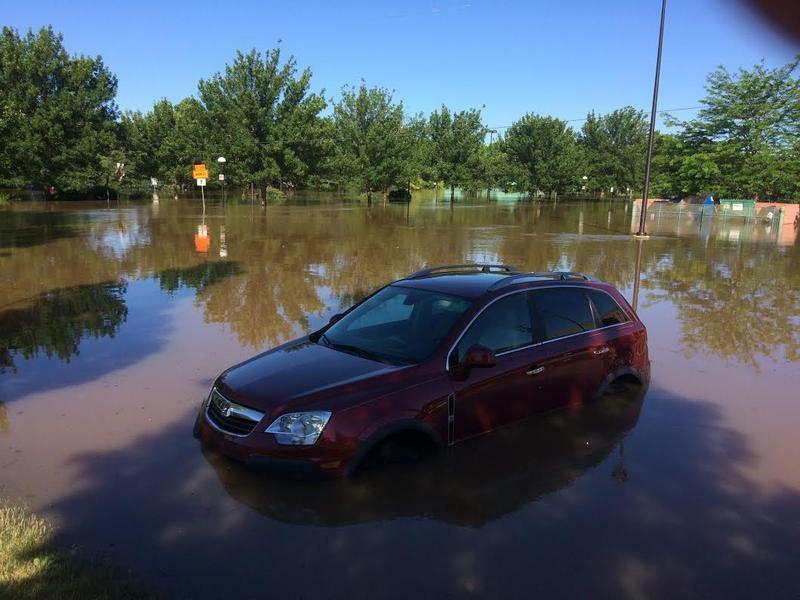 As floodwaters begin to recede, government officials are assessing the damage in Midland and Isabella counties. Storms dumped more than seven inches of rain on parts of mid-Michigan last week, flooding homes and washing out roads. Getting to work or school is going to be a problem in the areas affected by the flooding. MOUNT PLEASANT, Mich. (AP) - Lt. Gov. 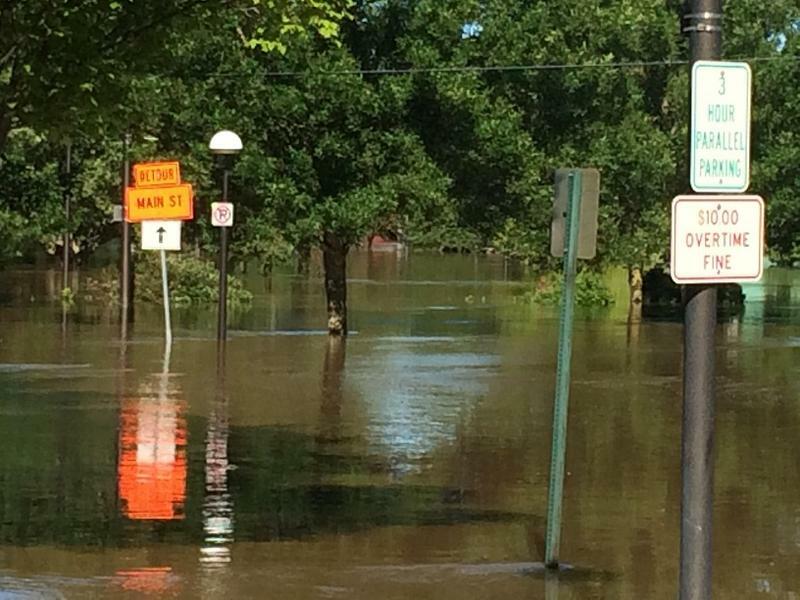 Brian Calley has declared a state of disaster in two central Michigan counties after severe weather led to widespread damage and flooding. Calley issued the declaration Friday for Isabella and Midland counties. It provides state resources to assist local response and recovery efforts. Hundreds of homes, businesses and roads have been affected by flooding from heavy overnight rain. The Mount Pleasant Morning Sun reports motorists were being advised to stay off roads in Isabella County. The proposed merger of Midland-based Dow Chemical and DuPont has cleared another regulatory hurdle. Brazilian officials are the latest to give their blessing to the $130 billion merger of the chemical industry giants. The recommendation by Brazilian regulators still must be approved by an administrative tribunal, which is largely a formality. Michigan Attorney General Bill Schuette is tight-lipped about whether his office will join a federal anti-trust probe into the proposed merger of DuPont and Midland-Based Dow Chemical. The U.S. Senate Judiciary Committee is holding a hearing this week that could affect the planned merger of Midland-based Dow Chemical and DuPont. Iowa Senator Chuck Grassley is the chairman of the Senate Judiciary Committee. He called the special hearing into Consolidation and Competition in the U.S. Seed and Agrochemical Industry. Grassley is concerned major consolidation in the agri-chemical industry will mean less competition and hurt American farmers. Dow Chemical is cutting 2,500 jobs worldwide, including hundreds in Michigan and the Great Lakes Bay Region. The layoffs come as the Midland-based company absorbs operations of Dow Corning and prepares for a merger with rival DuPont. “We are moving quickly and effectively to integrate Dow Corning and deliver the synergies that will drive new levels of value creation for our customers and generate even greater returns for our shareholders,” said Andrew N. Liveris, Dow’s chairman and chief executive officer. People in Midland are waiting to see what effect the announced merger of Dow Chemical and DuPont will have on their city. Midland is a company town. Everywhere you look you see the Dow diamond logo, from the city’s minor league ballpark to cultural institutions. And of course, there’s the sprawling Dow Chemical complex on the city’s south side. Dow started in Midland over a century ago. But that long history is about to head in a new, uncertain direction. 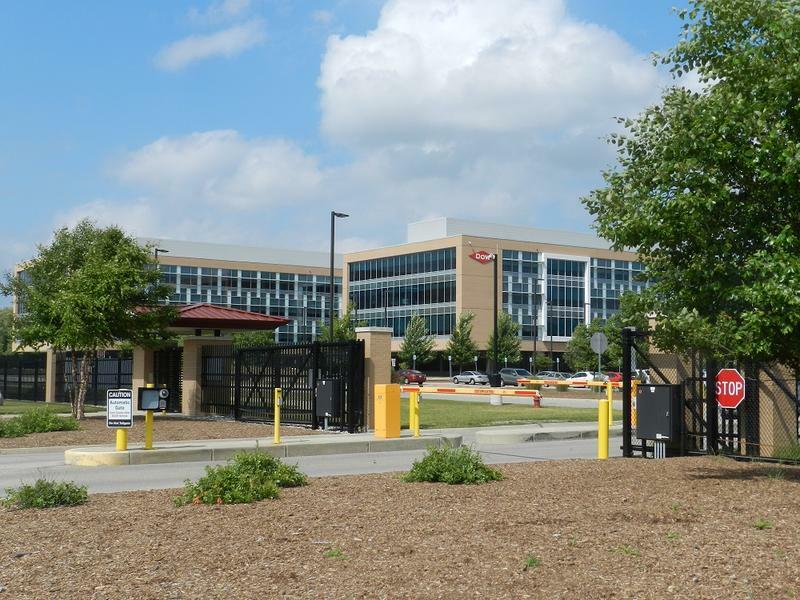 Dow Chemical is making changes to its corporate footprint in Michigan. Dow Chemical officials say the company plans to build a new building on its corporate headquarters campus in Midland. 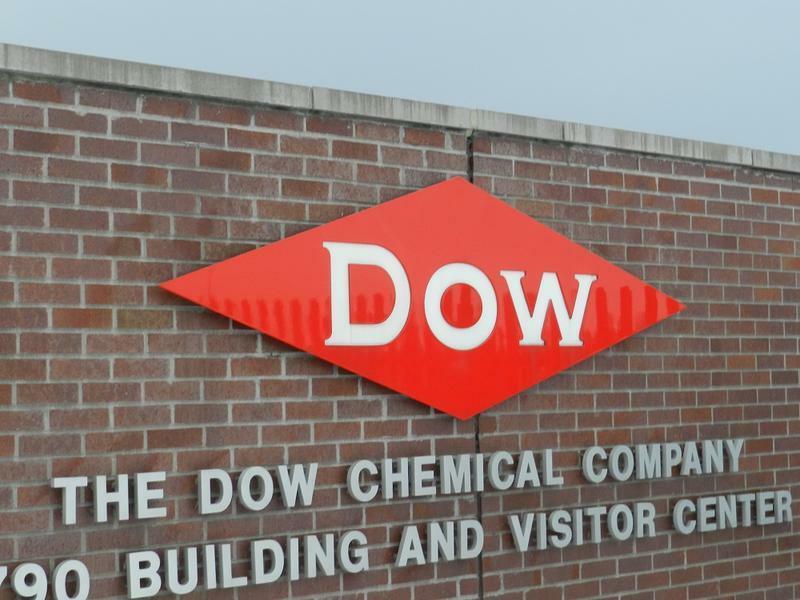 Midland-based Dow Chemical will cut about 3 percent of its global workforce as it prepares to break off a significant part of its chlorine operations in a deal it announced earlier this year with Olin Corp. The company says the cuts will reduce its workforce by 1,500 to 1,750 positions. Dow Chemical employed about 53,000 people worldwide at the end of last year. Wetlands have all kinds of benefits for people and wildlife. But wetlands have also gotten in the way of farming and building. So, we’ve drained them over the years. 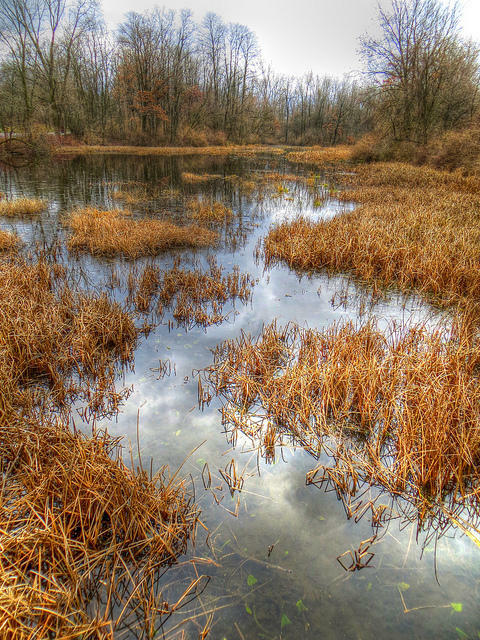 The federal government has been trying to clarify what kinds of wetlands and small streams fall under the Clean Water Act. Earlier this year, the Environmental Protection Agency and the Army Corps of Engineers proposed a new rule that they say would clear up confusion. 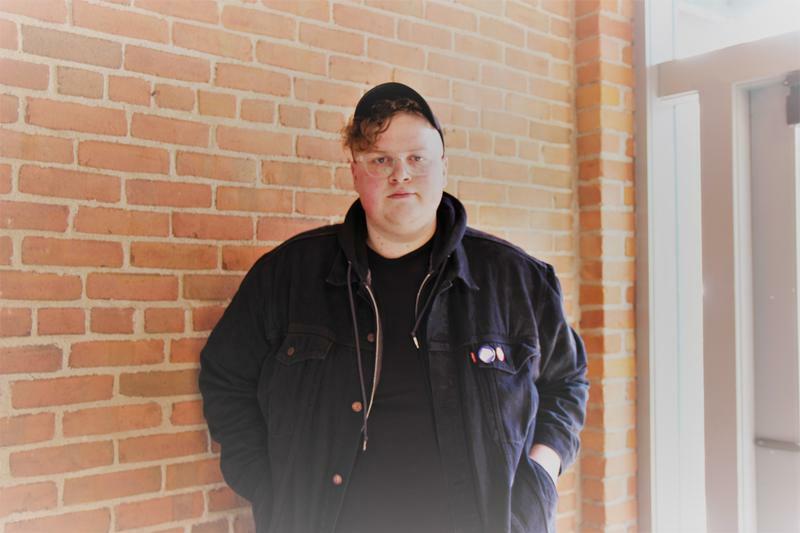 Annie Snider is a reporter who covers water issues for Greenwire in Washington, D.C. The Clean Water Act was passed in 1972 and Snider says the EPA and Army Corps of Engineers took a broad approach to what fell under it. "But in 2001, and then again in 2006, there were [Supreme] Court challenges that threw that into question. And after those, the questions of which waters, which streams, which creeks, which wetlands fall under federal power under the Clean Water Act was thrown into question," says Snider. The 2006 ruling involved two cases out of Michigan. While one contested the rejection of a permit, in the other, the U.S. sued a Midland real estate developer for filling in a wetland property. The developer said the wetland was not a "navigable waterway" and therefore not covered by the CWA. However, until that point, the EPA interpreted "navigable waters" as being "waters of the U.S." and any waters or wetlands connected to one of these waterways. In its ruling, the Supreme Court rejected the Army Corps of Engineers and EPA's limitless authority over water. After that decision, Snider says that regulators had to make case-by-case decisions about which streams and creeks are important to the downstream waters — the big rivers and lakes that do fall under the Clean Water Act. A major hedge fund is making waves for Midland-based Dow Chemical. Third Point Management announced today that it has upped its position in Dow Chemical. The hedge fund now has a $1.3 billion stake in Dow. That makes the hedge fund a significant shareholder in the company. DETROIT (AP) - Michigan has at least 28 bridges that are classified as needing close observation and future upgrades. The Associated Press analyzed data on bridges nationwide. At least 28 in Michigan are considered "structurally deficient" and "fracture critical," key terms bridge inspectors use. Officials say that doesn't mean the bridges are unsafe for travel. If so, they'd be closed. TITTABAWASSEE TOWNSHIP, Mich. (AP) - Mid-Michigan's MBS International Airport has unveiled its $55 million passenger terminal. The Midland Daily News reports that political, community and business leaders gathered Friday for a ribbon-cutting ceremony at the airport in Saginaw County's Tittabawassee Township. The 75,000-square-foot steel and glass terminal was completed a year ahead of schedule. It's expected to handle its first departing flights on Wednesday. According to the event RSVP form from Romney Victory, Inc., guests can pay a wide range to take part in the event, which begins with the 12:45 p.m. private lunch. From the $10,000 per couple cost for the lunch, the price steps down to $2,500 per person for a VIP photo reception at 1:15 p.m. and $1,000 per person for the 1:45 p.m. general reception. Proceeds from the event will go to Romney Victory, Inc., a joint fundraising committee. Contributions will be split between Romney for President, Inc., the Republican National Committee, the National Republican Senatorial Committee and the National Republican Congressional Committee. MIDLAND, Mich. (AP) - The Michigan Department of Environmental Quality says Dow Chemical Co. is ahead of schedule as it samples residential properties in Midland for dioxin. The DEQ this week approved Dow's request to begin work on 300 properties that had been scheduled for inspection next year. It's part of a five-year plan to clean up neighborhoods contaminated for decades by airborne dioxin from a Dow plant in Midland, where the company is based. Of about 150 properties sampled thus far, 22 have had dioxin levels higher than 250 parts per trillion, which triggers a company-funded cleanup if the owners want it. Results from this fall's sampling will be available next spring. Any needed cleanups will get started then. 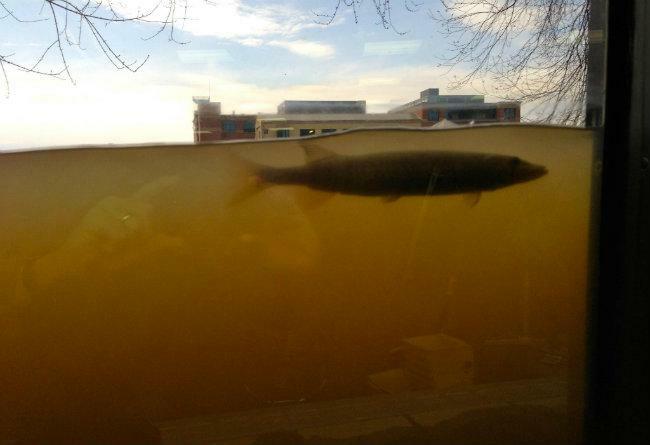 Dow is negotiating with federal officials over cleanup of the Tittabawassee and Saginaw rivers. After years of back-and-forth between residents, regulators and Dow Chemical, a massive clean-up of contaminated soil in Midland is getting under way. The state approved the cleanup plan today. It calls for soil testing on 1,400 properties. Officials are looking for dioxins. Those are byproducts of chemical manufacturing. The toxins have been linked to health problems, including cancer. "After all the meetings I've attended over the years and everything, and being asked why's this taking so long and everything, it's nice to be able to tell somebody the actual clean-up is really being done," said Jim Sygo, deputy director of the Department of Environmental Quality. The plan calls for removing and replacing soil contaminated with dioxin at levels above 250 parts per trillion. Sygo says that's a level that studies have determined poses an unacceptable cancer risk. Environmental groups say they think the number should be lower, and take into account health risks other than cancer. Still, some are celebrating the milestone. 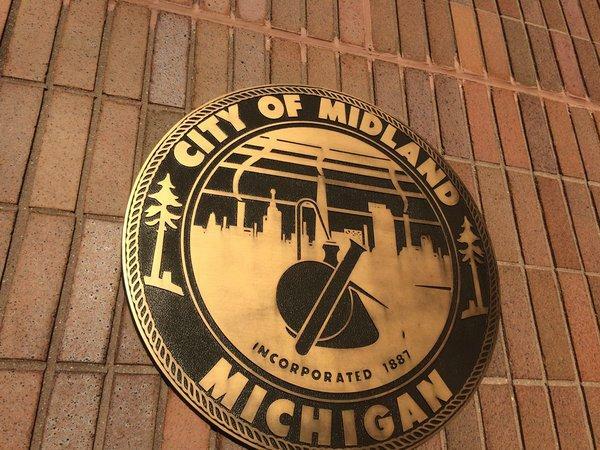 “If you know the history of the city of Midland, and how political this has been, and how much push-back there has been from city fathers, from the business community, from the Chamber of Commerce, from Dow Chemical, over decades, I think only then can you truly appreciate…this is significant progress for that community,” said Michelle Hurd Riddick of the Lone Tree Council. 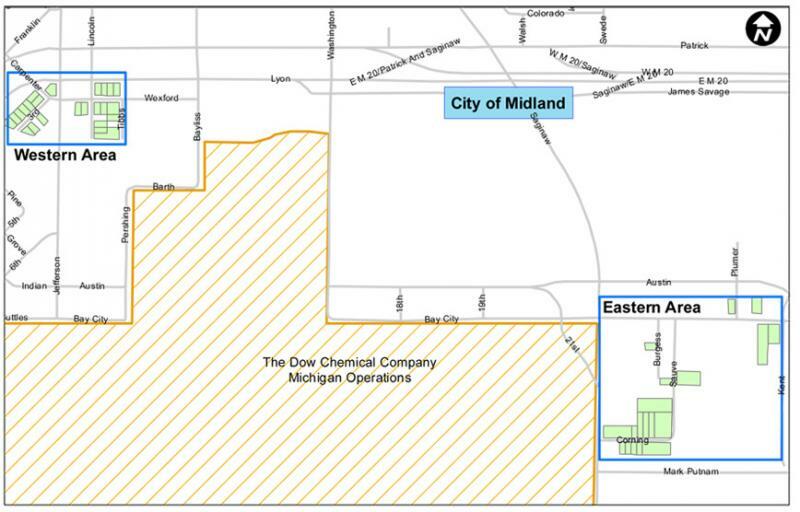 Dow Chemical Co.'s plan to clean up sites with dioxin contamination near its Midland facility has been approved by Michigan's Department of Environmental Quality. Back in February, Dow also offered a land purchase and relocation program to about 50 landowners living near the company's Michigan Operations manufacturing plant. Dow is offering this incentivized property purchase program to give property owners in the immediate area north and east of Michigan Operations...the option to move out of an industrial/commercial area to a residential area, if they so choose. The program will also offer relocation support for those who rent their homes, if the property owner participates in the program. As the Environment Report's Rebecca Williams has reported, dioxins are a class of toxic chemicals that appear "in the environment as by-products of many industrial processes and some natural sources." The Environmental Protection Agency says dioxins are likely to cause cancer in humans. John Flesher of the Associated Press reports Michigan environmental regulators have reached a deal with Dow Chemical to clean up around 1,400 residential properties in Midland. The soil in these areas is contaminated with dioxin. The state Department of Environmental Quality said Thursday it agrees with the company on cleanup plan framework. Dow will fill in the details and submit them to the state for review next month. 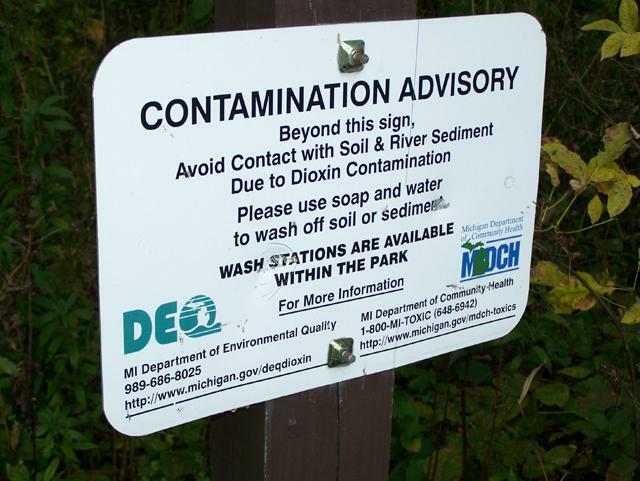 Dow has acknowledged polluting 50 miles of rivers and floodplains in Michigan with dioxin for much of the past century. Negotiations and studies with state and federal agencies on how to fix the damage have dragged on since the mid-1990s. The Midland agreement follows a deal reached last fall on cleansing a three-mile stretch of the Tittabawassee River near the plant. The company issued a statement about the agreement noting they will also offer a land purchase program to around 50 land owners near its Michigan Operations manufacturing site in Midland. The properties are in the area where Dow and the state agreed to the clean-up and remediation deal. A map of the affected properties is show above. Dow is offering this incentivized property purchase program to give property owners in the immediate area north and east of Michigan Operations (see map) the option to move out of an industrial/commercial area to a residential area, if they so choose. The program will also offer relocation support for those who rent their homes, if the property owner participates in the program. "We see this as an opportunity to address land use near our manufacturing site and give people still living in this industrial/commercial area the choice to move elsewhere," said Rich A. Wells, vice president and site director for Dow's Michigan Operations. Dow says they will donate the acquired the properties to Midland Tomorrow, a "nonprofit economic development entity serving Midland County." On his trade mission to Asia, Governor Snyder praised a business partnership between a Japanese company and the Michigan Molecular Institute (MMI). The partnership between Japan's ECO Research Institute (ERI) and MMI is expected to bring around 30 new jobs to Midland. Snyder made his comments at the Japan Midwest U.S. Annual Conference today praising the partnership "as an example of the economic and technological benefits that Michigan and Japan stand to gain through greater cooperation." The two companies will form a new company called ECO Bio Plastics Midland Inc. The new company will produce bio-plastic pellets made of compound mixes of plastics and micron-sized dry powder made from shredded paper. These pellets will be used as packaging materials, food service products, heat insulation applications, and toys. Plonka noted EBP has chosen a site for the new Midland facility, with the expectation to break ground before November and to begin production next summer. “Midland is a good location for the demonstration facility for a couple reasons,” Plonka said. “First, because of the paper shredding services provided by the Arnold Center, Midland, is an excellent source of paper feedstock. And secondly, some of the most innovative plastics research in the world occurs in Midland. It’s a natural fit. The plan calls for the initial paper-plastic composite production facility to produce 10 million pounds per year, with the ability to grow to 100 million pounds per year, Plonka said. Back in 2003, more than 150 homeowners got together to file a class action lawsuit against Dow Chemical in Midland. The homeowners claimed that their property values had dropped because of dioxin pollution released by Dow. Now, a judge in Saginaw has ruled that the homeowners do not have class-action standing in the lawsuit. If they want to sue Dow for their loss, the homeowners will now have to file individual lawsuits.